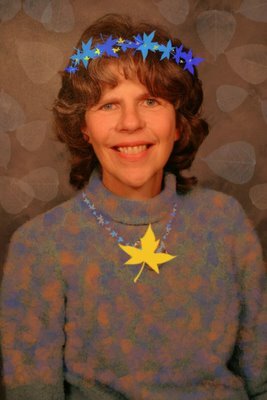 Gail, Leaf-Lady Portrait 2005, by Mary Stebbins. This is a collaborative Portrait with Gail Slaughter. Click on the photo to see larger.